Get a hammer and come to a strange pattern with holes. You guess it right, something will get out from them. 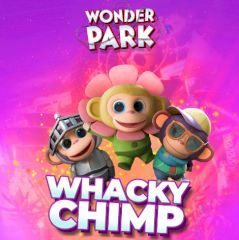 Prepare to smash and get points in this whacky chimp game and show how well you operate with a hammer. Destroy chimps and flowers, get points and watch the timer. Try to get more points than any other player!